Late last month, New York’s high court issued a ruling that put the debate over the merits and risks of shale gas development in the hands of local governments. The much-anticipated ruling – a monumental victory for grassroots political action -- settled a long-standing question regarding the state’s jurisdictional control over the matter. Yet it raised many other questions about how local governments will respond. There are towns for drilling and towns against drilling. 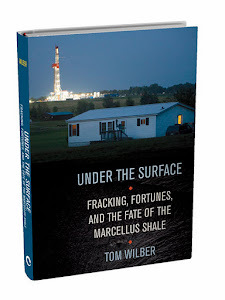 But much of the fight over where and to what extent shale gas development – including high volume hydraulic fracturing -- will be a part of the New York landscape will play out in towns with no stated policy. Do communities that don’t want fracking need to actively pass a ban? Can communities that want fracking amend zoning laws to encourage it? What happens if they do neither? These questions are predicated on a pending decision by Governor Andrew Cuomo on whether to allow fracking anywhere in the state. While the outcome of that remains anybody’s guess, we know from Cuomo’s past remarks that he favors a plan to begin issuing shale gas permits in towns with no local bans. These happen to be along the border with Pennsylvania, which also sit over the most viable parts of the Marcellus Shale. This dynamic becomes especially relevant to towns in this area – and there are many of them -- with no comprehensive plan and nothing on the books specific to fracking. The reaction by Town Supervisor John Schaffer, as reported by BinghamtonHomepage.com, was not especially concrete. "Our town code says you can't do it here to begin with, and I've told these people [anti-fracking activists] that over and over and over," Schaffer said. He then added: "We’re aware of the recent Court of Appeals decision regarding home rule. While the decision permits the town to enact legislation that would ban fracking, it does not require us to ban it. According to the town board, we will carefully monitor this issue and will act when and if there’s an incident for us to do so." Some legal experts say that towns could – depending on wording and interpretation of local law -- grant variances to gas companies to site wells in areas otherwise zoned against industrial use, which is just what supporters of gas development are hoping for and what opponents dread. Attorney Helen Slottje represented Dryden and Middlefield in their Home Rule victory. In a recent appearance on Capitol Press Room, Slottje pointed out that while the Court of Appeals ruling would make it more difficult for operators to drill in zoned areas, it would still be possible, depending on how a given town reacted to the ruling. The ambiguity can be maddening or inviting, depending on your stake in the debate, and it has provoked some thoughtful comments from readers on my recent post about fallout from the Court of Appeals decision. Scobie’s full response can be viewed here in the comments section. Whether oil and gas activities are considered an industrial use, will be a municipality by municipality determination... Much of the clarification will come over time. Been talking about this on Facebook. It turns out that a towns code does not specifically need to call out prohibited uses. Any use which is not specifically allowed is prohibited. Thanks for sharing. I will be following up with more reporting, but seems at this stage there is room for many "what ifs"
I know the governor and many others talk about "towns wanting fracking" or not, but, truthfully, towns aren't capable of wanting anything. There may be towns in which the town board members favor fracking, but that doesn't mean that everyone in town does, or even that the majority of the town does. I live in Vestal and asked a question on zoning status during this week's meeting, amounting to "You say our zoning already prohibits fracking, so, if we already have a ban in place, why not make that ban explicit, given that in other areas places that are zoned residential, agricultural, etc have been opened to industrial HVHF?" There was no answer from the board. Basically, I don't think bringing in a polluting industry next to homes and farms should be a matter of who "wants" it or who will make money on it. The paramount issue is the health and well-being of the residents. Landowners should not engage in an activity that is going to keep their neighbors from enjoying their own homes and yards and that increases risk to their neighbors' property and the public roads. Even worse, scientific studies are accumulating that show significant health risks for those living close to HVHF wells, especially for babies and children. That's why a statewide ban is so important. It's too important to leave up to town boards or volunteer zoning boards - most of whom, like Vestal's board, don't understand the science involved. Sorry. The preview used my name rather than my blog's name. Just clarifying that the above comment is from Joanne Corey. I think there are really two separate issues here. The first is, should a town, via its zoning code, have the right to control its own character? Personally, I think the answer to that should be a resounding "yes," which is why I am glad that the Dryden/Middlefield case went the way it did. The second issue is, is shale gas extraction safe enough to be allowed in those areas that want it? If it isn't--and I think it isn't--then the state should step in and stop it. What I'm concerned about is that NY state may just take the coward's way out and drop the whole thing in the laps of the towns without doing a comprehensive health review or pursuing the many environmental and economic concerns that have been raised in the time that has passed since the revised draft SGEIS came out. Thank you, Tom, for following up on my earlier zoning question. For everyone's information: The zoning issue generated a lot of (sometimes heated) discussion at the July 9 Windsor Town Board meeting. The town's attorney expressed the opinion that it would be a good idea to review the town's Comprehensive Plan (which was written before the gas rush), and Supervisor Carolyn Price seemed supportive of this idea. When one of the town residents present asked if Windsor's existing zoning code would prohibit drilling within agricultural areas, the town's attorney said she would have to review the code before she could provide an answer. Thanks for the update on Windsor. See Sue Heavenrich's report for update on Candor. I read Stan Scobie's full response, including this paragraph: "Second, about two months ago, the Broome County Government convened a Marcellus legal workshop for municipal officials. There were nine attorneys from the local firm of Coughlin and Gerhart (attorneys Begeal, Blaise, Jacobs, Kline, McKertich, Merahan, Sacco, Valenzuela, and VanWhy). The set of presentations was aimed directly at how and why towns should get ready for drilling. Attorney Robert McKertich briefed specifically on the notion of allowing drilling in some parts and not in others - i.e., zoning overlays." Cheryl Sacco is Windsor's Town Attorney. Sue provides good coverage for Candor. Each town is unique and this is another example of why people should be paying attention to their town boards. Thanks for pointing out. Very worth reading, I have added a link to my post. How deep into the subsurface does a town zoning ordinance apply? These horizontal wells are getting longer and longer. Range resources will be drilling 5,200 feet along the horizontal. So let's say a town with plenty of industrial zoned land allows drilling pads to be built. Can those wells go under areas or adjacent towns for that matter? I'm going to guess there's already Marcellus shale well along the Penn/NY border with wells going north, south, east and west. Here's an interesting tidbit on well performance v. well lateral (horizontal run) length for Marcellus wells. Basically the longer the lateral the greater the production. I'm not sure about this, but it's my impression that the zoning would apply only to the surface. If that is the case, then I guess that would mean that when a spacing unit was formed, it could include land from a town that had banned drilling--there is even the potential for compulsory integration to be used to force that land in. But then again, the whole question of whether it is trespass to run a lateral beneath the land of an unwilling landowner is likely to start some court cases all by itself, even without the zoning restrictions. Anyway, if NY allows shale gas extraction, I suspect it will generate a lot of work for the legal profession for a number of reasons.